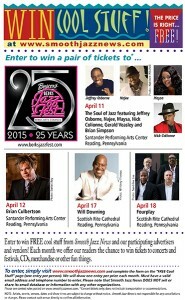 Brian Culbertson at the Berks Jazz Fest ticket giveaway! We have one pair of tickets left to give away for the 25th Annual Berks Jazz Fest in Reading, Pennsylvania, and they are for…Brian Culbertson on April 12! We will be giving them away TODAY, Monday, April 6. 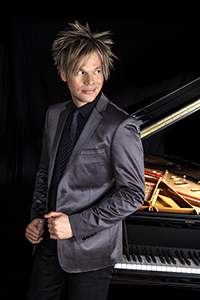 To enter for a chance to win, please email smoothjazznews@aol.com with “Brian Culbertson” in the subject line. In the body of the email, please include your name, phone number, city and state, and we will call the winner today. This entry was posted in Concerts and Festivals, Contests, Smooth Jazz Travel, Special Promotion on March 11, 2015 by Melanie. Did you already enter our ticket giveaway contest?